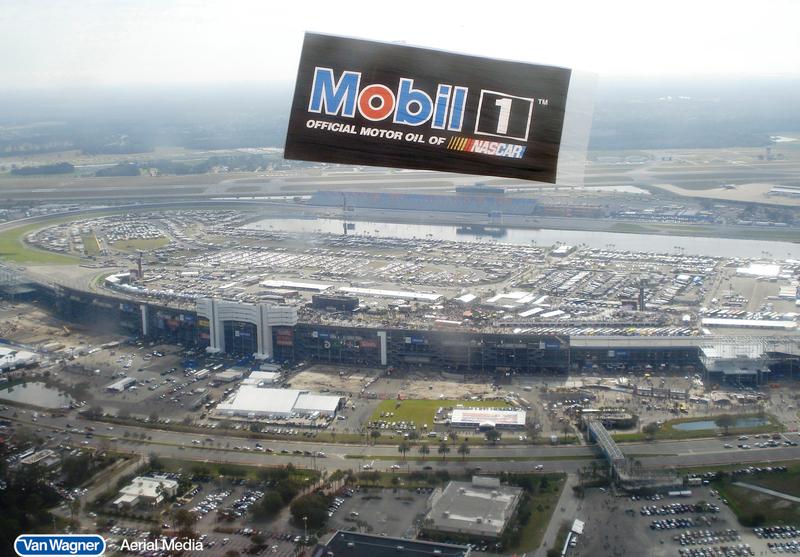 Which Event Is Right For My Aerial Advertising Campaign? If your brand’s target demo falls into one of the categories listed above, aerial advertising is a good choice for you. Let’s examine how you can attract the attention of these key demographics, get noticed, and save money using aerial banners, blimps, and/or sky writing at certain events. Targeting parents of young children with your advertising campaign can be challenging. They’re always on the go, and you have a lot of competition in this category. But, aerial advertising allows you to cut through the clutter and really stand out to parents in places they can bring their kids to have fun. 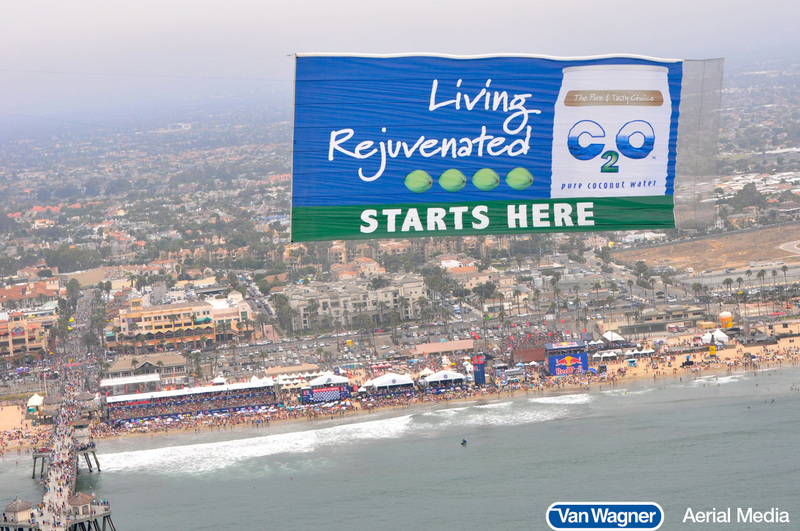 Imagine your brand’s messaging flying above the most popular beaches, state fairs, and sporting events of the year. An aerial banner is a great choice to get noticed on a budget, and a blimp is the perfect way to cement brand awareness. The Despicablimp is a perfect example of how Universal captured and delighted the attention of both parents and children. Aerial advertising is common at sporting events across the country, and as you might have already guessed, men are a big part of the major sporting event fan-base. Van Wagner Aerial Media flies above the biggest sporting events of the year, including but not limited to, NFL and NCAA football games, Golf, MLB, Supercross and Motocross events, NASCAR, NHRA, Soccer, Extreme Sports, and much more. Want to advertise at the Superbowl for a fraction of the price? We can help. It’s pretty obvious why aerial advertising is a prime choice for advertisers looking to target athletes. Athletes make up a large percentage of fans at major sporting events and are common participants in outdoor competitions such as marathons, triathlons, and extreme races like Tough Mudder. The Boston marathon alone attracts approximately 1 million spectators, and appeals to some of the top athletes across the country. If you chose to target athletes at these types of events you will also be gearing your creative toward the college-educated crowd and those with disposable income. Van Wagner Aerial Media can help you pick which events to fly. Winter is coming, but SPRING BREAK will be here before we know it. If you’re looking to target college students with your marketing campaign, there is no better option than aerial advertising. Popular spring break beaches, music festivals, and NCAA football games are all key events for aerial advertisers looking to target this demo. And, aerial advertising integrates perfectly with social media. Check out what ABC Scandal did with their aerial messaging to get people talking on Twitter, Facebook, and Instagram. We can help you pick the right hashtag to get the kids tweeting, Instagramming, and updating their Facebook statuses about your brand. Advertisers are increasingly turning to aerial advertising for targeting the Hispanic population. As the fastest growing population in the United States, the Hispanic population is a desirable target for many consumer-facing brands. We fly the Fiesta Broadway in New York City and Calle Ocho in South Florida each year. Our fixed-wing banner towing planes and blimps are also regulars over cities with large Latino populations such as El Paso, Texas and Miami, Florida. It’s simple to print banners in different languages, and it’s possible to have your messaging appear in both English and Spanish through a formation flight. Regional marketing managers come to Van Wagner Aerial Media time and again for help raising awareness in a specific location. We’re capable of hitting multiple markets in a certain region at the same time or in succession. Aerial banners are a great way to run a regional promotion, but if you’re looking to boost your brand awareness, blimp advertising is the way to go. The Hood blimp is a perfect example of an advertiser looking to cement brand allegiance in a certain area – in this case, Boston. If you choose blimp advertising, it’s a good idea to take a note from the Hood blimp and align yourself with the area’s top sports team. This way your target customer will associate your brand with their favorite team. How Cost-Effective Is Aerial Advertising? We can help you choose the right event to garner thousands (even millions!) of impressions from your target demographic. If you’re looking into media buys for some of the biggest sporting events and outdoor festivals of the year; you will find that the cost of aerial media comes in at a fraction of the price. We can help you advertise at NCAA bowl games, the Superbowl, Art Basal, and much more this upcoming winter without drowning in the competition. Our aerial media specialists are standing by to answer your questions. Contact us today, or click below for your free quote. Want more information on which events are best to fly? Download our free e-book!